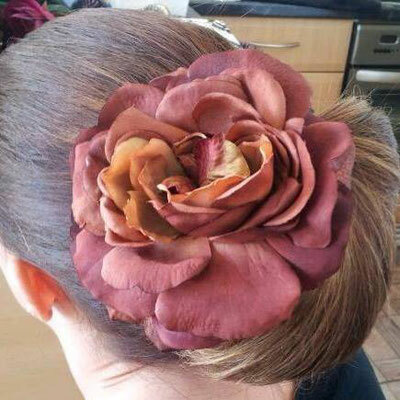 Wedding Season Is Upon us... - Website of seventyfourhairandbeauty1! It’s that time of year when the brides are looking for the perfect hairstyle for the best day of their life. From the beach wave for the more relaxed wedding to the sleek Audrey Hepburn chignon for the glamorous bride. 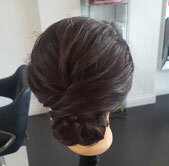 In this blog we will look at the chignon. 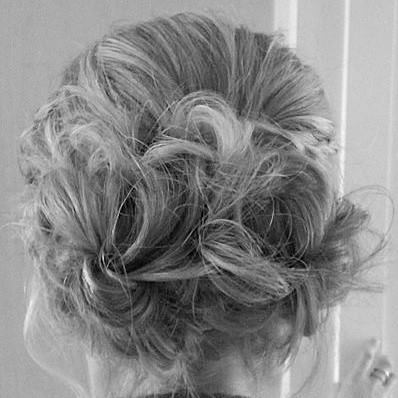 Chignon is a bun or knot at the nape of the neck and comes from the French phrase “chignon du cou”. It is one of the most versatile styles, it can be worn loose and bohemian to sleek and glamorous. It is 1 of the most popular styles for weddings and events as it can be changed to suit any style of wedding. The chignon is perfect for those brides who have picked a dress with high necks, details across the décolletage area or an open back. These dresses are there to make a statement of their own and this hairstyle is perfect for that. This blog is less about what I have to say but how to achieve the looks which, is demonstrated in the videos attached. Video 1 is a quick demo of how to achieve a classic, sleek chignon. This is so simple but elegant and sophisticated. You create a pony just above the nap of the neck. For volume back comb the pony and then put a tie or clips to hold the hair above the pony. This means the hair tie will be hidden when the look is complete. Smooth out the top layer of hair so no backcombing can be seen and pin the hair at the nape of the neck. Use a couple of grips to get the shape at the side of the chignon. Add accessories as required and hairspray hairdo. 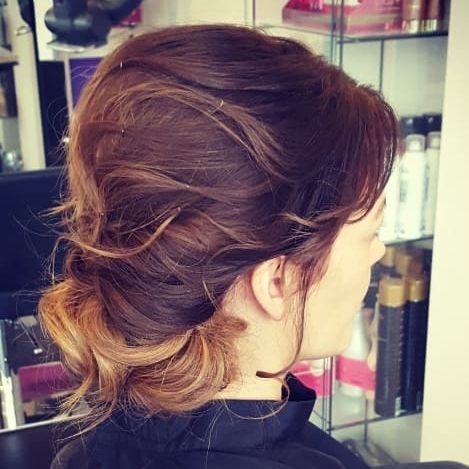 You can create a softer look by follow the steps above to create the chignon at the nape of the neck leaving some hair out at the front to create a soft curl which can be loosely pinned back. Video 2 shows a messy bun made by braiding the ponytail and pinning the remaining hair back loosely. I had already prepped the hair with a loose curl and added a little height to the top/crown area. Adding flowers to this style adds that romantic, bohemian feel. This style is more about pinning the hair where it looks best and requires less precision.